This item is backordered and will ship between 10.1-10.15. Introducing outwear to Donni Charm! Their first collection of outwear this Fall, and they totally hit the nail on the head. 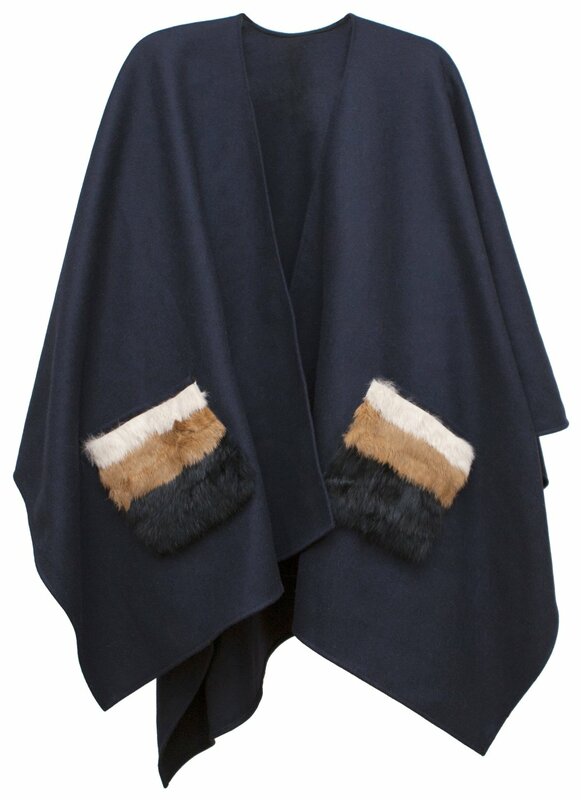 This amazing cape can be worn simple draped down or wrapped around like a scarf. The rabbit fur detail on the pockets add a touch of glamour and sophistication to your look. 100% wool with Rabbit Fur Pockets. Dry Clean only. One size.